No one would doubt the fact the general world economy hasn’t been very fantastic. The profit margins of many businesses declined, and many more companies and organizations were shut down. The huge number of people around the globe who lost their jobs for sure was a staggering number. In the bid to get out of this unexpected world-wide financial setback, this resulted in the emergence of more investors and traders on the cryptocurrency platform. Thus giving cryptocurrency an outstanding popularity. And not stopping there, these investors made fortunes during these periods. And many more are still making impressive profits on cryptocurrency. 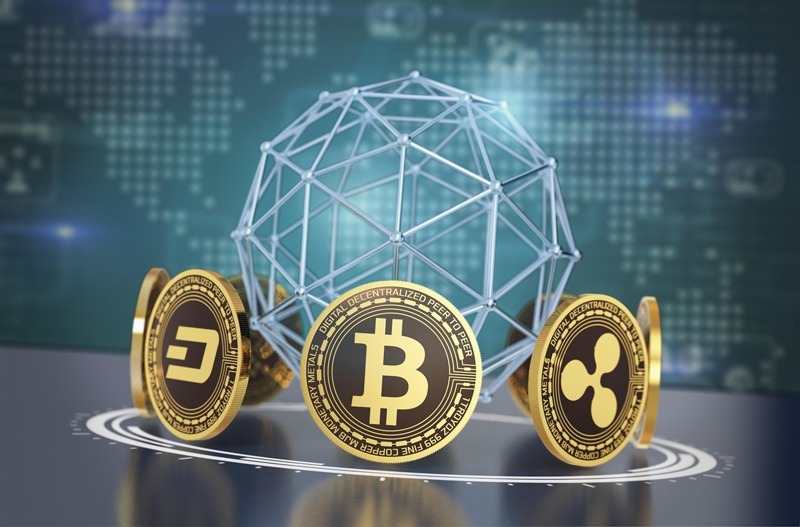 So, although cryptocurrency has been around for some time, lately, it has become one of the most preferred investment ventures the world knows today. And from all indications, cryptocurrency has come to stay. Here are some reasons why. Cryptocurrency is making positive waves in the financial services worldwide. This is clearly as a result of the dynamics in the marketplace. The records have it that crypto-tokens have become highly recommended because of its profitable trading across numerous exchanges. This is yet another one of the many things that make cryptocurrency so popular. Cryptocurrency also offers traders and investors loads of opportunities. Cryptocurrency has become another means for people to make extra income. And this has become a case of each- one -tell -the -other. That is why the financial markets are currently experiencing commendable business growth because the investment returns are overwhelming. All these are making headline news, more people are getting interested in cryptocurrency, and of course, the popularity and acceptance are growing by the day. Records have shown that the prevalence of cryptocurrency, going by the flow of transactions in financial institutions, are rated at approximately 1,800% increase in 2017. In the world of cryptocurrency throws out to Investors opportunities to invest no multiple projects. Meanwhile, most traders and investors have developed strong trust in ICO. Truly, this is one reliable and advanced way for start-ups to raise capital from the on-set. This is one of the fund generating methods that works extremely well for investors. The reason behind this is that it removes possible barricades and at the same time to closes the gap between retail investors. Any IT-oriented individual would definitely get involved in cryptocurrency. This is their own world where they are quite comfortable considering that fact they understand or rather would have a better understanding of the technicalities involved in cryptocurrency investment. Take app developers, for instance; they can actually develop the decentralized application. This will enable them to operate a centralized server from a web application. What this does is to make room for efficiency and this means on the other hand that there is absolutely no need to integrate Stripe or PayPal to enable you to accept funds from users and customers. All these positive remarks about cryptocurrency give more reasons why it is fast becoming even more popular than before. For individuals who continuously seek for means to achieve the desired freedom to do business despite the ever-choking rules and restrictions stipulated by the government and some other robust corporations will for sure find that desired business freedom in cryptocurrency. Here’s an interesting angle to this. Psychologically some people are not completely comfortable with the idea of having some sort of information about you out there in the cyber. Yes, there are people who would prefer to stay anonymous in their dealings. Mind you; the sole idea is that you don’t want to be caught up in a situation where you become vulnerable. The good news here is that cryptocurrency is one commerce-oriented platform designed to protect your identity. Hold-on! Are you one of the people who deep in their heart still believe that banks must not have control over your finances. If so, cryptocurrency is just perfect for you. Amazingly, a lot of people believe firmly that cryptocurrency was designed to raise a standard against corruption in our today’s modern space. These ideologies have been interfered with cryptography to generate a new way of thinking; crypto-anarchism. Cryptocurrency has done exceedingly well in the area of privacy. Cryptocurrencies have truly delivered its promises and claims to completely stay private and of course, protect the account owner’s identity online. The popularity of cryptocurrency is growing like wildfire. This is because many people are talking about it. But they are not just talking; a good number of them (investors and traders) have joined other hands-on-deck. It is no longer news that unparalleled returns in the cryptocurrency market are driving huge and unavoidable attention from the investment community. Looking at it from a technological point of view, everyone knows that cryptocurrency great and calculated attempts to completely take power away from governments and large corporations and returns it to the people. Again this is yet another reason why cryptocurrency has gained so much traction. Cryptocurrency is quite involving; once you get a hang of investing, you will become intrigued and of course would definitely want to learn more. Regarding commission rates, when compared with bank payments, those of crypto-currencies carry significant benefit. This reason for this is because the cryptosystem is not only more loyal, but it is also decentralized and exclusively supported by its users. This way cryptocurrency users can avoid paying interest to the bank or other payment providers; which sometimes cash in on customers, by setting sky-high interest rates for conducting operations. It is general knowledge, that the technology behind cryptocurrency is one that has been meticulously idealized. Over time, this idea has shown significant advantages if compared to what is obtainable in the traditional banking system. However, let’s not forget cryptocurrency has come to stay. And from the look of things, cryptocurrency will become even more popular in the years ahead.